Civil War and Reconstruction Books and Films - Our reviews and guides for books and films covering this period in American history. Civil War and Reconstruction Image Galleries - These are our photographs and illustrations for this time period. 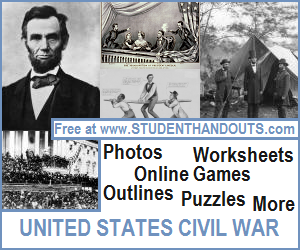 Civil War and Reconstruction Learning and Study Games - Learn and study online for free with us. No registration or log-in is necessary. Civil War and Reconstruction Miscellany - These are our miscellaneous educational materials on this historical topic. Civil War and Reconstruction Outlines and Powerpoints - Here are our printable outlines and powerpoint presentations on this period in history. Civil War and Reconstruction Worksheets - These are our stand-alone worksheets covering this time period in United States history. 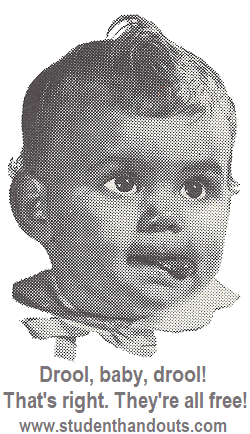 They include writing exercises, readings with questions, and puzzles.